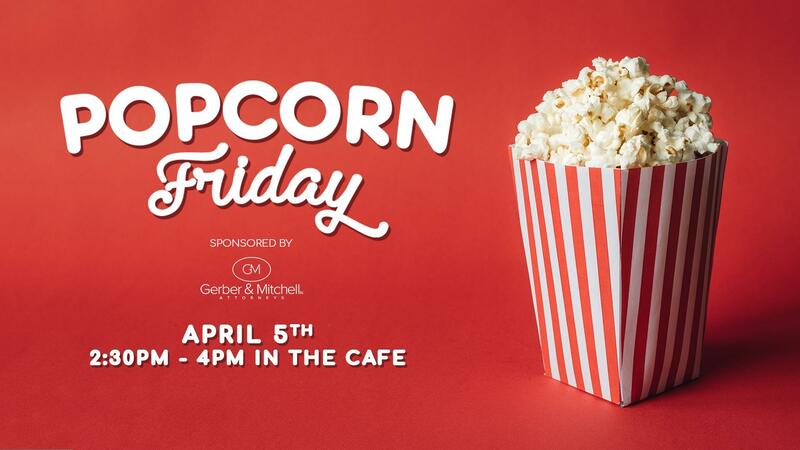 On the first and third Friday of every month, courtesy of our Gold partner sponsor Gerber & Mitchell, join us in the cafe for some tasty snacks, and a few drinks. Popcorn Friday is a great event that fosters our community spirit here at The DEC and a great way to catch up with fellow tenants, meet new tenants, talk shop and slide casually into the weekend! As always this event will be held in the Cafe from 2:30 pm – 4 pm! *Please note: This is an exclusive event for DEC Tenants.